Dr. Ray is a Fellow in Forensic Psychiatry in the Division of Forensic Psychiatry at the Centre for Addiction and Mental Health, and in the Forensic Division, Department of Psychiatry, University of Toronto. Dr. Simpson is Chief of Forensic Psychiatry, Centre for Addiction and Mental Health, and head of the Division of Forensic Psychiatry, Department of Psychiatry, University of Toronto. Patients in forensic mental health care have a difficult journey through inpatient rehabilitation and re-integration into the community. Risk assessment guides this progress, usually with clinician-based processes that use structured risk-assessment tools. Patients' understanding of their own risk is important to inform risk assessment and the chances of successful rehabilitation. The emergence of shared decision-making approaches provides an opportunity to consider shared risk assessment and formulation. We reviewed the literature to explore models of patients' involvement in risk assessment and the impact on outcomes in forensic mental health care. We conducted searches of three databases (Medline, PsychINFO, and EMBASE) to identify papers that employed shared risk understanding for violence risk. Additional records were identified through review of citations, with articles being selected using a predetermined set of inclusion and exclusion criteria. We found five studies that met the inclusion criteria for patient involvement in risk assessment with measurement of construct or predictive validity. The studies employed diverse methodologies, but they suggest that patient involvement in assessing risk is feasible when correlated with staff ratings. There is encouraging evidence of the predictive validity of self-rated risk alongside staff-rated risk assessment. In forensic mental health care, a recovery framework must balance a patient's best interests with public safety concerns.5 Forensic recovery presents dual issues of enhancing autonomy while also giving due consideration for public safety. Care is provided within a coercive framework. A recent meta-synthesis of forensic patient accounts of recovery called for developments to enhance patient inclusion to increase patients' sense of safety and understanding in the process of forensic recovery.6 Similar themes have been found in the more recent work of Livingston7 in patients and family members defining success in forensic recovery. It is possible that important information that could guide risk-management plans may be overlooked if patients are not involved in the process. Risk assessment plays a key role in guiding the decision-making processes of risk management. SDM brings together patients and treatment teams in making health care decisions. Being involved may enhance patients' sense of self-efficacy and responsibility by contributing to important decisions regarding their care. In addition, it gives clinicians a chance to get a better view of the patients' insight into the issues pertaining to their risks. Applied to risk assessment, this involves a joint process of contributing to an understanding of key risk issues and effective risk management. Given the above, we sought to explore examples of SDM as applied to risk assessment and management of violence in forensic psychiatry. To do so, we conducted a literature review of quantitative studies of shared risk formulation using structured risk-assessment tools in forensic mental health practice. The aims of the review were to describe the methodologies employed and the settings where they were applied, and to examine their reliability and validity. Original studies, systematic reviews, and meta-analyses focusing on shared risk assessment, formulation, or decision-making in forensic psychiatric or correctional settings for mentally disordered offenders with problems of violence were considered for this study. The studies were all in English and had a published status. Studies were identified by searching electronic databases and by scanning reference lists of relevant articles. The search was conducted in the following databases: Ovid MEDLINE 1946 to present, Ovid MEDLINE In-Process and Other Non-Indexed Citations, PsycINFO 1806 to present, Embase Classic + Emblem 1947 to present. The following search terms were used in all databases: (forensic or prisons or offend), (shared or collaborate) and (risk assessment or risk formulation or treatment plans or care plans). Search strategies were agreed upon by both authors. A total of 245 articles were identified in the search. The retrieved records were screened by reviewing the title and the abstract, and 10 papers were fully reviewed by both authors for final inclusion. Each stage of the selection process was carried out by both investigators. Eligibility assessment was performed independently in an unblended standardized manner by both investigators. Summary of study selection and exclusion (flow diagram). Of the inpatient settings, Bjorkly's9 case report was carried out in a well-staffed medium-security forensic psychiatry unit which receives patients with a history of violence for long-term treatment. Fluttert's8 work was carried out in a maximum-security forensic psychiatry hospital with 189 male patients. The remaining settings were integrated forensic hospitals in Australia10 and Ireland.11 The study from The Netherlands12 included three outpatient forensic psychiatry clinics with 632 patients and 58 case managers, with 310 subjects included in the study. The second report from this study is a subset analysis of 196 of these subjects.12 The patients in the Dutch study differed from the other studies in that they were predominantly diagnosed with personality disorders, with only eight percent having a psychotic disorder. Bjorkly9 presented a case illustration of a risk management approach based on progression ladders, called ProLad. It is a structured contingency management approach for preventing relapse of violence, and it is tailored to individual needs, which require patients to be actively involved in making plans for progress in conjunction with their nurses. The starting point is to establish a therapeutic relationship and involve patients in the planning as soon as possible. The scope is to work on several goals simultaneously to address risk issues and to focus on personal growth. In the case study, the subject was able to identify the early signs of auditory hallucinations and worked in collaboration with nurses to intervene at the initial stages of relapse. The author presented this case as an example of the feasibility of shared risk assessment. Fluttert et al.8 developed and evaluated a tool called the Early Recognition Method (ERM). The ERM is a guided process in which staff and patients develop a shared understanding of early signs of aggression and implement plans to reduce violence. The ERM was implemented in four phases. In the first phase, the intervention was explained to the patient. Second, a list of early signs of aggression was prepared by the patient with help of the nurse mentor. In the third phase, the patient and staff mentor together monitored patient's behavior to detect early signs of aggression. In the fourth phase, preventive actions were listed in the early detection plan and were implemented to help the patient de-escalate and regulate their behavior. Each session lasted for 30 minutes and was made a part of existing weekly evaluations. The subjects received their usual treatment and the early recognition method in a phased manner where the subjects acted as their own controls in a crossover design. Of the 189 patients eligible for the study, 168 participated; refusers had higher psychopathy scores and more substance-abuse diagnoses. The outcome measures were the number of seclusion events and the severity of inpatient incidents of aggression as rated on the Staff Observation Aggression Scale–Revised (SOAS-R). The study showed that implementation of ERM led to a decrease in the frequency of seclusion events from 219 events in the control phase to 104 in the intervention phase [χ2 = 22.82, p < .001], and the rate of seclusion events per patient per month reduced from a mean of 0.13 to 0.05 (p < .001). There was also a reduction in SOAS-R severity of incidents from 1.38 to 0.50 (p < .001). Van den Brink et al.13 conducted a second analysis of the 201 subjects in the RACE study who completed the full START and CSA assessments to explore the concurrent and predictive validity of staff- and patient-rated measures. A total of 196 subjects (98%) were able to complete the CSA, suggesting it is a feasible instrument. Concordance of client and staff assessments was good for critical vulnerabilities and key strengths, indicating general alignment between staff and patients about the most important issues. Concordance at an individual level for key risk and predictive factors was limited, however, with staff generally recording higher risks and vulnerabilities than patients. Predictive modeling of the START and CSA results for violent and criminal recidivism was considered. Client self-assessments of critical vulnerabilities and key strengths were significant univariate predictors of recidivism and indeed were superior to staff-rated scores. The best predictive model involved both the case managers' ratings from the START and the subjects' self-appraisal of risk and protective factors (area under the curve = 0.70, 95% CI 0.60–0.80). 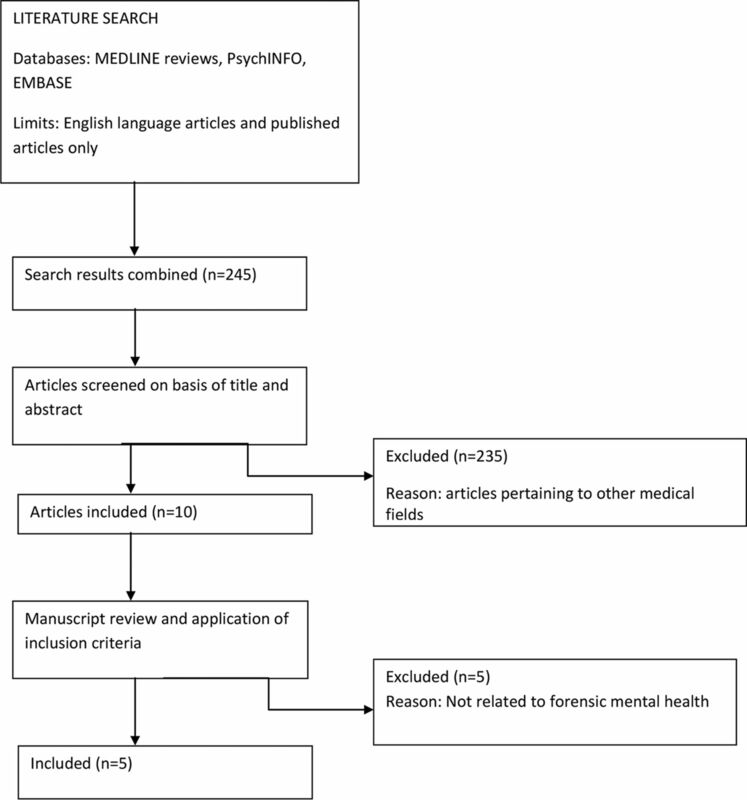 This review found a small but significant literature of structured approaches to including patient voice in risk assessment and management in forensic mental health care. From the early case study of Bjorkly,9 there are now three lines of research looking at structured approaches to risk assessment and management in forensic settings. These are structured violence risk intervention using the ERM, two models of staff- and patient-completed structured professional judgment tools (the DUNDRUM and START), and joint staff–patient needs assessment. While some of the data are exploratory, two studies are well-designed, controlled intervention studies. Finally, the comparisons of structured patient and staff ratings of program completion and future risk needs in the DUNDRUM tools suggest that this is a promising approach to understanding patient and staff evaluation of risk and treatment progress.11 The suggestion that agreement between staff and patients on these dimensions increases later in the inpatient rehabilitation process raises the possibility that agreement between the patient and the clinician could be a useful index in progress in the recovery journey. Taken together, these studies demonstrate the feasibility of shared approaches to risk assessment and management and present suggestive evidence of positive impact on inpatient and outpatient outcomes in certain ways. The relationships are, however, complex. Interestingly, Troquete et al.12 found no difference between the group who used the START and CSA and the control group, even though START/CSA factors were predictive of recidivism. This may mean that relevant factors identified using the START/CSA were not integrated effectively into care plans. The ERM design did include integration with interventions and showed a strong impact on institutional violence. Reduction in frequency and severity of anger incidents stresses the need of close collaboration in developing treatment strategies as well as managing risks. The validity of patient self-rating of risks is underscored by the strong correlation between patient and staff ratings of risk9,10 and the finding by van den Brink et al.13 that client ratings independently predicted violent or criminal behaviors at the six-month follow-up. There is consensus across the studies of the significance of user involvement and collaboration in risk assessment and management. However, the paucity of research in this area is underscored by the mere handful of papers found in our review. Eidhammer et al.14 pointed out in their 2014 review of three studies of SDM in forensic mental health, two of which are included here, that there may be feasibility issues in the methods of encouraging patient collaboration by adapting tools such as the START and the DUNDRUM 3 and 4 as patient-rated tools. What works as a clinician tool may not capture patient perspectives well. Tools that require and guide staff–patient collaboration in both the risk assessment phase and the intervention phase of SDM, such as the ERM, may be more acceptable and more effective than simply having the patient complete an assessment tool. Patient collaboration needs to be a defined ongoing clinical activity assisted by tools, but it is unlikely to be achieved simply by completion of a tool as a one-time exercise. There is ample qualitative evidence for the desire for patient involvement in forensic recovery processes,6,7 and these few studies can start to guide clinicians in how to approach SDM. This review is limited by the small number of studies published to date, restricting this to a narrative review only. Nonetheless, we selected this approach to identify promising practices that might inform future studies. The studies are diverse and use different approaches to SDM. We believe it is important to demonstrate that SDM is both feasible and has predictive power similar to staff-rated tools. If that is so, the added benefits of patient involvement can then be explored to see if it adds incrementally to forensic outcomes. These studies require replication and expansion. The ERM represents a model of shared clinical intervention that is very promising, but it has not been replicated. The application of the staff- and patient-rated DUNDRUM 3 and DUNDRUM 4 should be studied longitudinally to understand its potential efficacy and whether the correlation between security level and staff–patient concordance can be shown in a longitudinal design. Similarly, structured professional judgment tools with self-rated opportunities represent an integration of patients into risk-management decision-making that needs further exploration. There may be other models, such as patient involvement in shared risk-formulation parallel processes that are developing in correctional rehabilitation (e.g., Shaw et al.15). Case–control and randomized, controlled designs are needed to evaluate the effectiveness of these interventions so that the nature and magnitude of the effects of shared risk can eventually feed into evidence-based approaches to forensic care. Most of the samples were composed of male forensic patients, and future research needs to include women. Furthermore, work needs to be done to identify the components of a successful shared risk-assessment program to facilitate practice change. Future studies should also focus on knowledge translation by identifying barriers to and facilitators of implementing these innovations in routine forensic practice.